Proven by extreme expeditions. Made with world-class fabrics selected not by price but by their performance capabilities. Our top-of-the-line tent, and one of the most versatile and advanced camping tents available worldwide. Safir 7 CP and Safir 9 CP (Cotton/Polyester) tents are in fact by far our most sold models so it's obvious that Safir's extra air intakes and world-class fabrics are highly appreciated by our customers. Safir is used by professionals in the most extreme tent camping conditions — in ice fields, in storm force gales, on top of glaciers or in blazing heat. 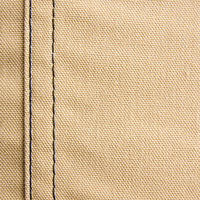 Highly breathable, extremely durable cotton/polyester tent canvas fabric — similar to Cotpolmex C, but with better shape stability and improved aesthetic appeal. To our knowledge, the absolute finest cotton/polyester tent fabric available globally. It was 3:00 this morning and I was awoken from a dead sleep. The ground was trembling and the vibrations could be felt all through the cot. Then, the small herd of deer stopped and they were in every direction outside screaming out there sounds. About 20 seconds later they trampled off but one lone deer stayed. He vocalized for about 3 more minutes and was just feet away from my canvas tipi tent wall. Then he took off to catch up with the others. Might that have been the Male Buck protecting his herd? A mountain Lion was spotted in the area just last week. Go onto the spiritual path and experience things you might not even concoct in your brain. Buy a Safir 9 CP. Take the journey. I just got back from a solo hunting trip and stayed in my Safir 9 Tipi for 4 nights. It was a great experience and I am already looking for the chance to get out and use it again. It rained on and off during my trip and I was happy with how I could leave the top vent open on the down wind side of the rain to alow air flow with next to no rain coming inside. I also used the drying rail for the first time and wow does it come in handy for drying and keeping your things organized. 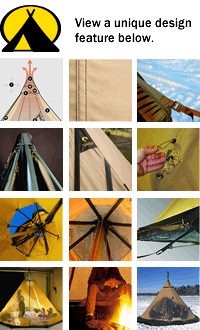 Great Tipi and products! We use our Tentipi Safir 9 for elk hunting trips in the Rocky Mountians. The Safir 9 withstood heavy winds and snow. Amazed at the craftsmanship and durability. Well worth the price. The Tentipi Safir Range is in a class all it's own among adventure tents. I own a Safir 15 for my camping in Japan where I spend 7-9 months a year and I purchased a Safir 9 for all season use up on the Keweenaw Peninsula of Michigan on the shores of the Great Lake Superior. The tent can handle anything you throw at it - Sun, Rain, Wind, Snow, Fire, Smoke, Heat, Cold..... seriously whatever. I've tried just about every tent and solution out there and nothing is as complete as what Tentipi has to offer. 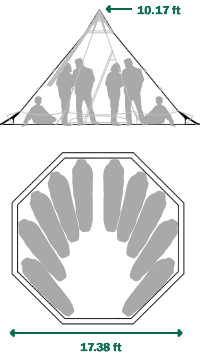 Aside from the Safir 9, I also own the Eldfell Stove, The Drying Rack, Canopy, the Floor, and the inner tent for the coldest of nights, which is not 100% necessary but is a lovely luxurious option. The Tentipi promise delivers on every level and far beyond... I literally feel like a kid again the night before Christmas anytime I am going to go camping. Whether it's summer camping by the river, ice fishing by the lake, or anything inbetween - it's everything you could ever expect and more. Set-up and breakdown is a snap once you've done it once or twice. Be on notice though... People will literally come talk to you all the time when you have this Tent - there is something about a Tentipi. One other Thing - the team at Mansfield is phenomenal. Incredible customer service. One final point - this tent is not for light camping and hiking as it's not the lightest solution. For that, would recommend the Olivin. Bottom line, when you buy this Safir 9, you are buying a 20-30 year camping solution which means over that period it will cost you the same amount as one night in a hotel per year for 20 years... Great deal if you look at it that way. Expect the Best, Buy the Best! I picked this tent up at the Overland Expo and I've had it up twice since. It goes up easy and rolls up compact in a compression bag. Last time out I had a small ring fire that warmed the tent up nicely and vented as advertised. I love being able to stand up. We had only three adults in the tent but four should be accommodated easily. Very happy with my purchase! Got the Safire CP9 this tent is great, set's up fast and easy. Perfect for 3 guy's with cots. have not had a chance to use the stove yet but i am sure come winter hunt/fish camp will be nice and toasty. Qaulity, quality, and more quality! I have stayed in lot's of different tents through the years from wall tents to one-pole tents. The Safir 9 tops em all! When I first opened up the tent tipi I knew the CP fabric was better than anything I'd used. I have a smaller one-pole tent and the door is a pain for trying to get out/in plus when it rains there will be a puddle inside... The tenttipi door is great! Easy to get in/out. No leaks! I have built several fires in the Heckla firebox now and I was pleasantly surprised on how the smoke drafted out. I worry about sparks though so I'm going to put a stiff screen over the firebox as a spark arrestor. The storage bag is another great part of the whole tent system. My job of rolling the tent up wasn't near as compact as when I first unrolled the Safir - 9 but it wasn't a problem because the storage bag is oversized, and then you just pull the compression straps to squeeze things up tight. I can't find anything to complain about with the Safir 9. Now I'm not even thinking I paid too much. I ordered the cp 9 safire, Eldfell stainless stove, heckla 30 firebox, drying rail and floor. I have found everything exceeded my expectations. I have used everything but the Helkla numerous times this summer. Every time I use them I was more impressed and my understanding and admiration of the products grows. Tom spent as much time as I wanted and answered all my question to my satisfaction. I will never regret buying this level of quality when divided by years of useful service and the level of quality, it equates to a great value. Outstanding products and AWESOME customer Service! Purchased the Safir 9 , Eldfell Tent Stove 9 (Pro) and Hekla 30 Firebox. 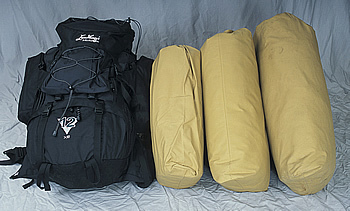 We purchased these products simply because we need quality gear to withstand the ruggedness of the Alaskan wilderness. After spending a winter weekend here in Maine, these products exceeded our expectations! So after many months of searching, researching, talking, looking and second guessing my decisions our family decided on the Safir 9CP. We are a family on the go and this allows a fast setup time and lots of comforts. Handles storms well and keeps the rain at bay. Built like a tank and I have no reason to believe we won't have this many years from now. The quality control in this thing is amazing I can only imagine how many hours go into building one of these. Click the button below to add the Safir 9 - (CP) Tent to your wish list.